Namobuddha hiking day tour can be a perfect to all age group peoples. 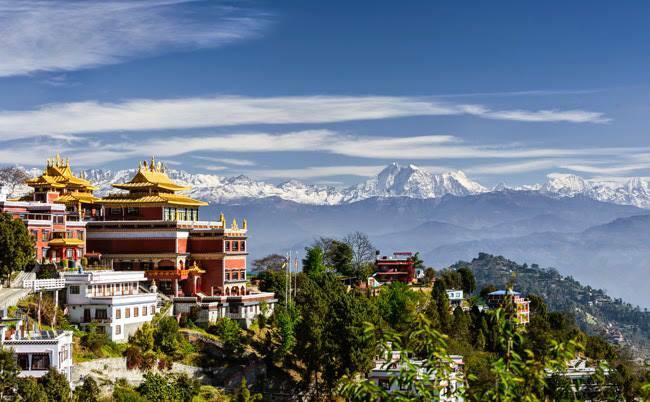 In this tour one can experience one of the most famous Buddhist shrine situated at about 38 km east of Kathmandu valley and Patan Bhaktapur on top of a small hill. If you are looking for a quiet and a sacred place in himalayas , away from the traffic of the city, with natural green scenery, huge mountains on the back drop, Namobuddha can be your best choice. Namobuddha is historically important place where a prince sacrificed himself to feed a hungry tigress and her cubs. After breakfast, drive from Kathmandu to Panauti (About 2 hours). Start or hike from Panauti to Namobuddha around two hours. Stroll around for an hour and hike down to Dhulikhel. Lunch at Dhulikhel and drive back t o Kathmandu. – Any extra tour than mentioned on our itinerary. – Tipping to the crew is mandatory.